9 a.m. - 8:30 p.m. Free Admission; Pumpkins priced by size. WINTER PARK Pumpkin Patch: St. John Evangelical Lutheran Church, located off 17-92 north or Princeton at 1600 S Orlando Ave Winter Park, FL 32789 (407) 644-1783. 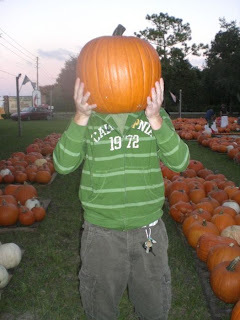 DELTONA Pumpkin Patch: Good Shepherd Lutheran Church, 750 Howland Blvd. Deltona, FL 32725 (407) 321-7510. 10 a.m. - 8 p.m. Pumpkins at $0.50 and up.